Why Choose a Numeracy across the Curriculum Workshop? Education in Wales is currently undergoing significant changes. This can have a huge impact on teachers’ workload and make planning an ever more difficult and confusing task. The ‘Numeracy across the Curriculum Workshop’ enables teachers to embrace change whilst ensuring that the full range of numeracy skills are covered across the curriculum. 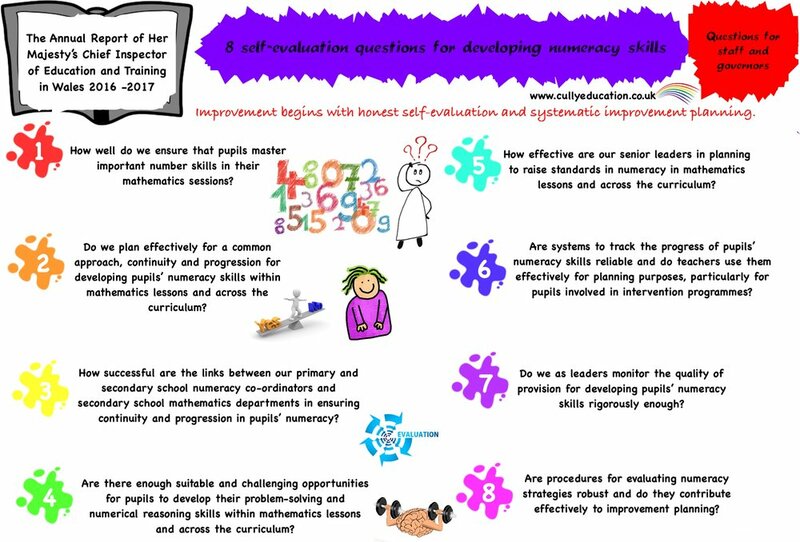 Plan purposeful opportunities for pupils to develop their numeracy skills through the six AoLE. Ensure that pupils apply their numeracy skills as well in their work across the curriculum as they do in their mathematics work. Provide regular opportunities for pupils to use the full range of numeracy skills across the curriculum. Ensure numeracy skills progress within the year group, through the key stage and across the school. Have access to a bank of resources and ideas to support planning engaging and meaningful numeracy activities. Is numeracy across the curriculum your school priority? Ensure impact and save money with our cost effective 2 term numeracy support package!